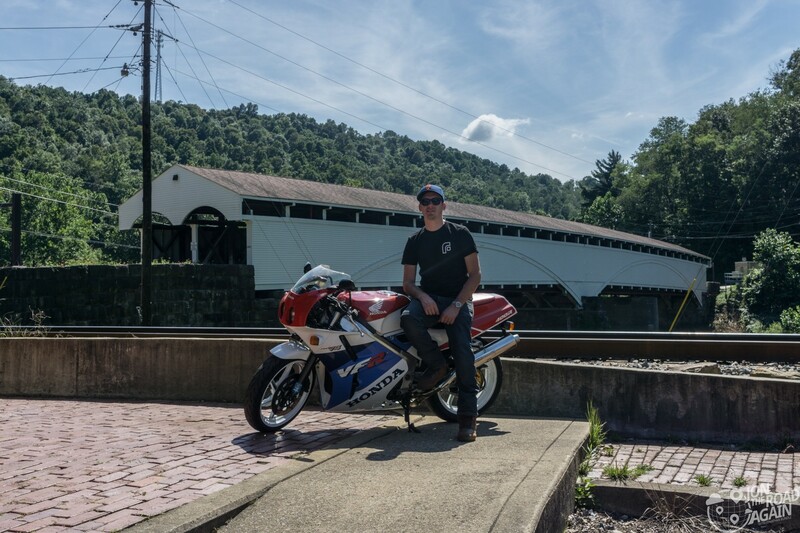 Riding the country roads of West Virginia, we’ve got to make a stop at the picturesque and historic Philippi Covered Bridge. 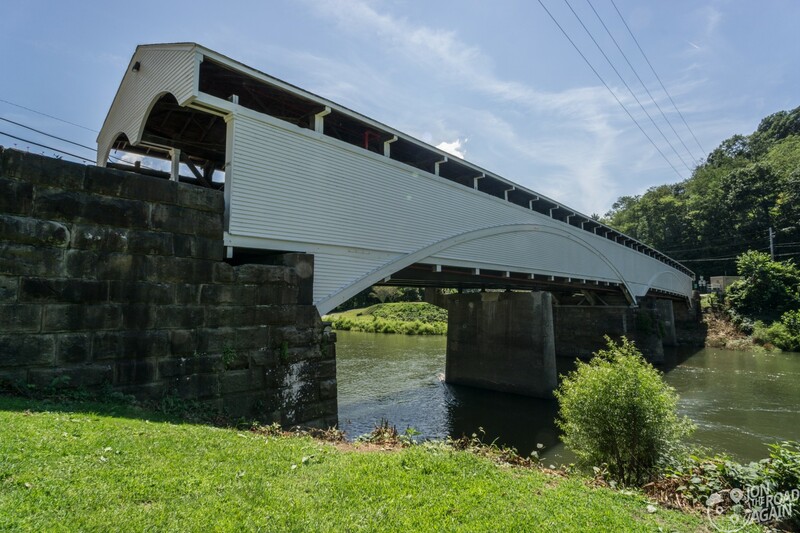 The bridge was built in 1852 for $12,180.68 by Lemuel Chenoweth. The structure is 285 feet long and 26 feet wide and was originally supported by three sandstone piers constructed by Emmett J. O’Brien. To accommodate heavy vehicle traffic, two additional piers were added later. According to legend, Chenoweth convinced members of the Virginia Legislature to award him the contract to build by placing a wooden model of the bridge between two chairs and standing on it. It is one of few surviving “double-barreled” covered bridges in the United States. You can see why that is the name of this style by observing this front view of the bridge. 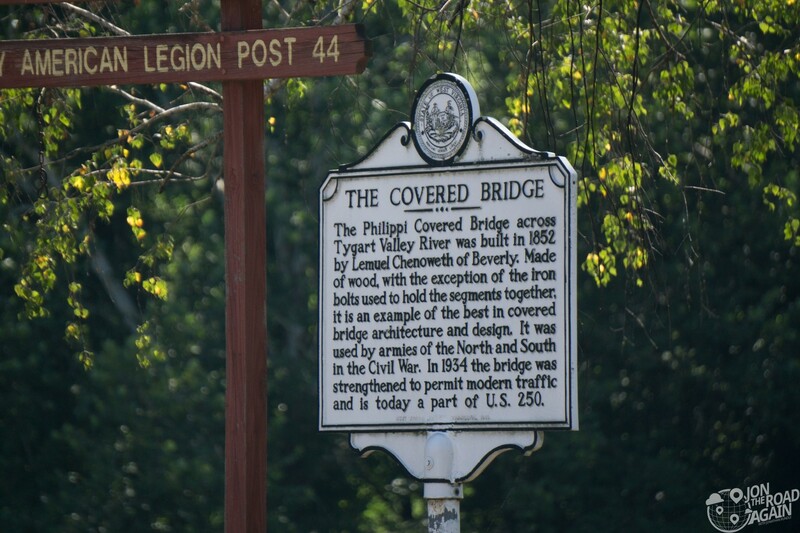 The bridge was used on June 3, 1861 by both Union and Confederate troops after the Battle of Philippi Races; a battle some consider the first land battle of the Civil War. It was also used for a time as a barracks by the victorious Union troops. The bridge narrowly escaped burning in April and May 1863 at the time of the Confederate raids on the B&O Railroad west of Cumberland, MD. Orders were issued for the burning of it, but the intercession of several locals of Southern sympathies saved it. The bridge was damaged by a severe flood in November 1985 and was virtually destroyed by fire in February 1989. A gasoline tanker truck at a nearby filling station overfilled a tank, spilling gasoline which ran down into the bridge. A car passing through the bridge then sparked a fire when its exhaust system backfired. The bridge was then closed to traffic until a $1.4 million reconstruction was completed. The bridge reopened in September 1991. 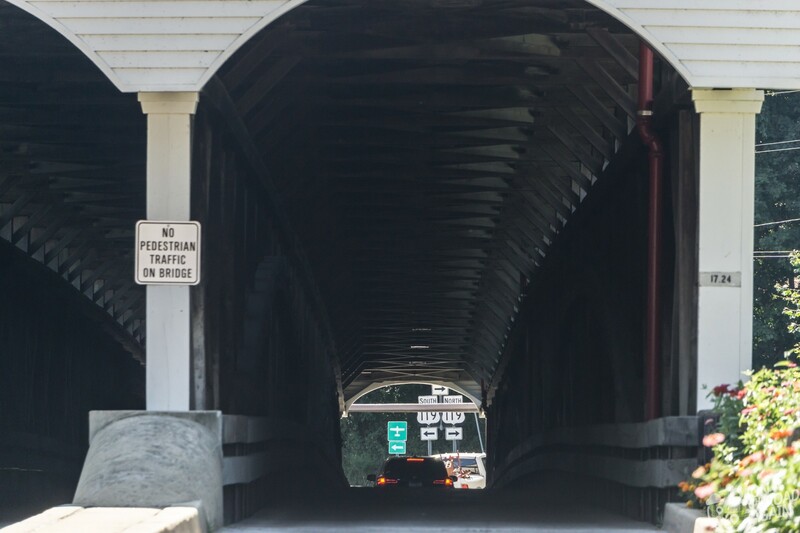 Today, the original, burnt wooden trusses and supports can still be seen when driving through the bridge. The Confederates couldn’t burn it, but some dumbass at a gas station could. 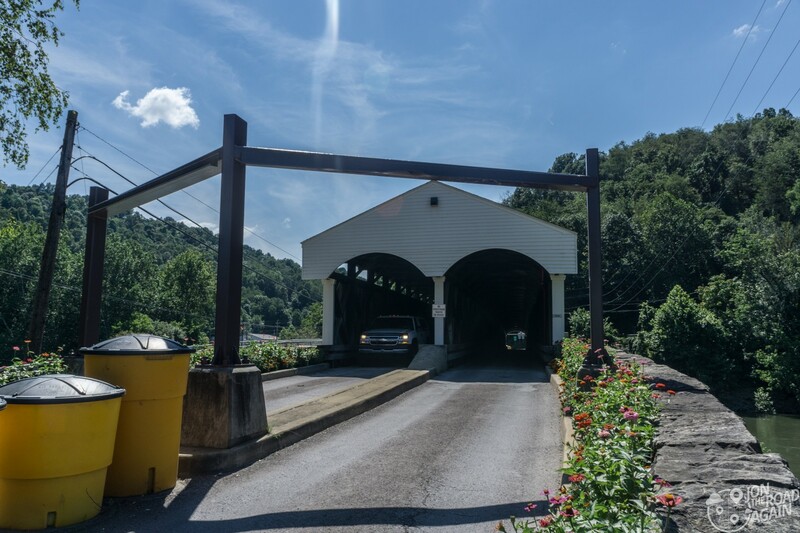 The Philippi Covered Bridge is the oldest and longest covered bridge in West Virginia. It is the only covered bridge serving the US Federal Highway system (U.S. Route 250). It was placed on the National Register of Historic Places in 1972. 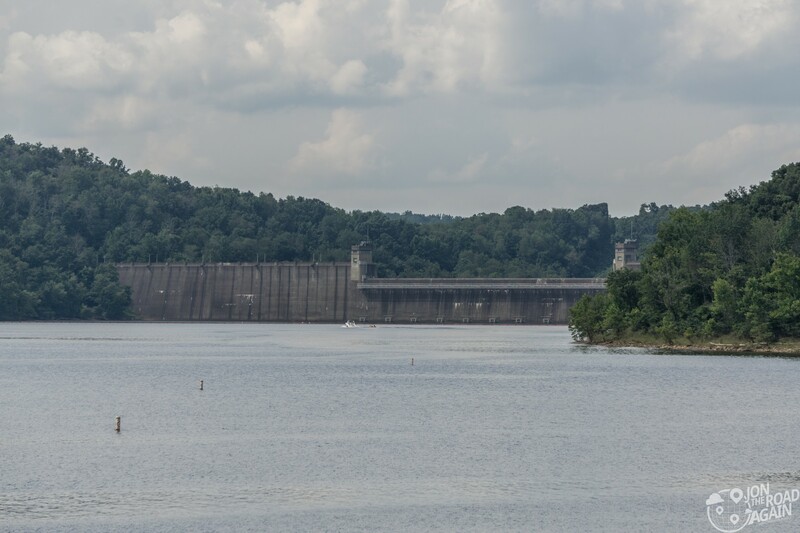 Upriver on the Tygart is another site on the National Register of Historic Places; Tygart Dam. Also known as Grafton Dam, this New Deal-era project has saved $1.2 billion in flood damage since it’s completion in 1938. The architect of the dam, Paul Philippe Cret, is notable for a number of structures on the east coast including many war memorials. After his death in 1945, his associates designed the Normandy American Cemetery in France. 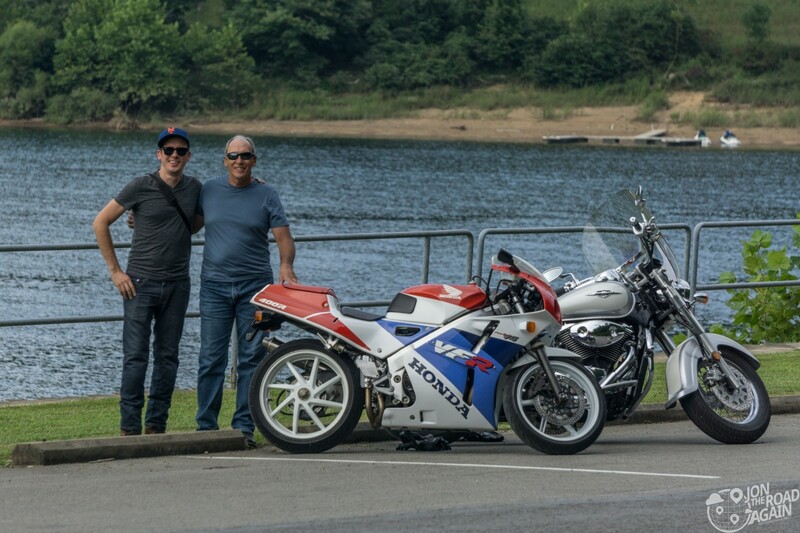 The dam creates Tygart Lake, a popular place for recreation and a good backdrop for photos. 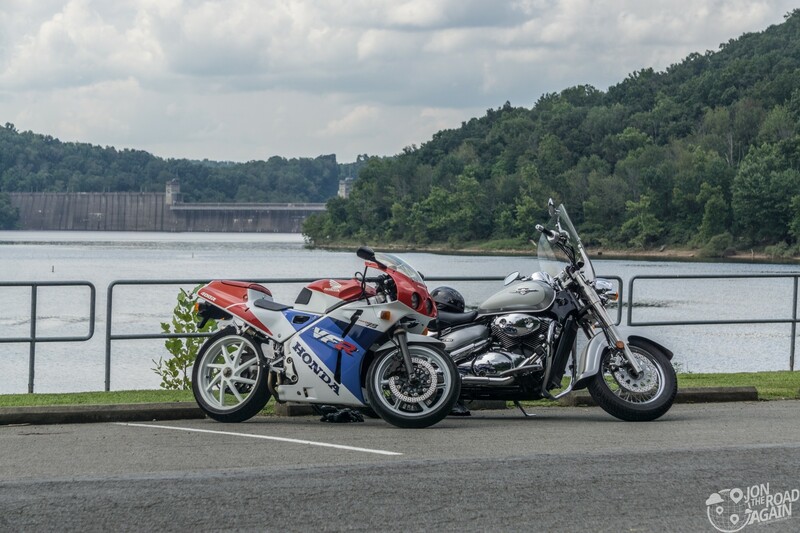 The Philippi Covered Bridge and the Tygart Dam are close to each other, only 15 miles of winding river separate them. Glad I could enjoy the ride with you!